Someone at Mercedes-AMG is having a lot of fun with their access to vinyl wraps and the company's social media accounts. It seems that Mercedes-AMG is suffering from a severe case of the "Dodge Demon," because it just published its third set of teaser photos of the four-door GT Coupe in just 10 days. The new variant of the AMG GT family is scheduled to be unveiled in two weeks when the German automaker heads to Switzerland for the iconic Geneva Motor Show. 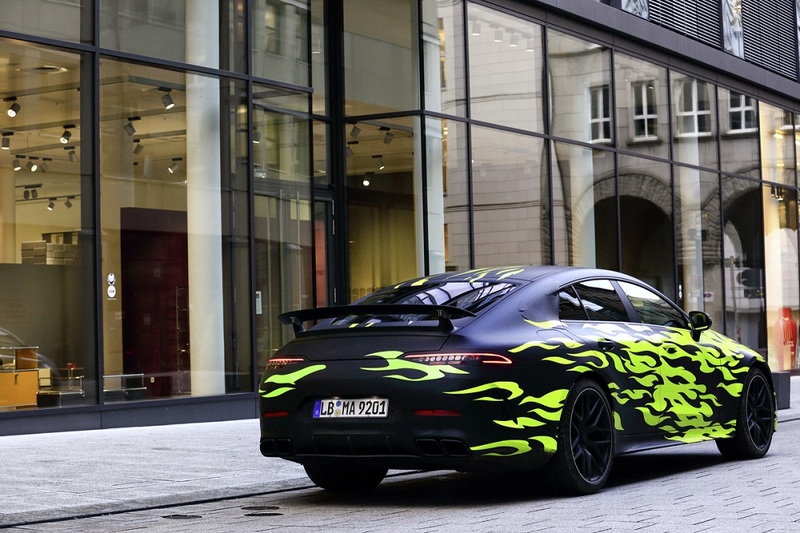 Previous sightings of the Affalterbach's new star have shown the four-door coupe sporting funky camouflage wraps to trick human eyes and camera lenses alike, but none quite as peculiar as the fire theme seen in these recent snaps. It almost looks like something Harley-Davidson would strap to one of their test bikes. 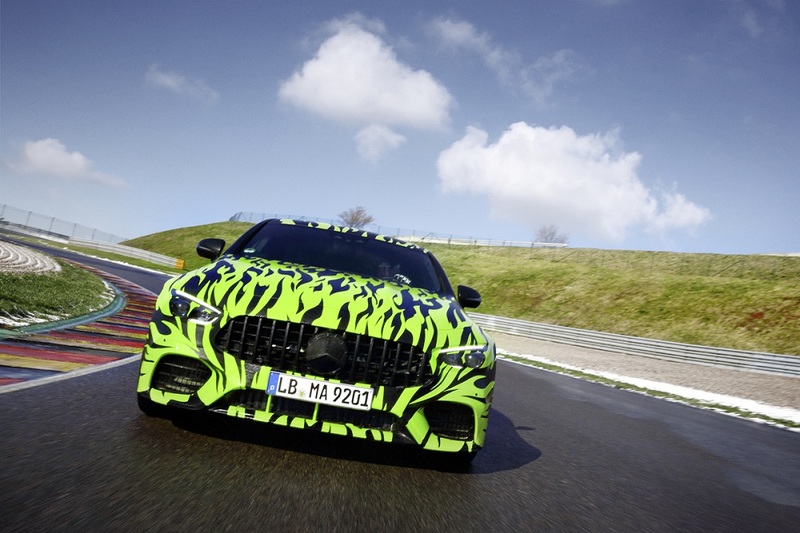 The four-door Mercedes-AMG GT Coupe was first teased with three simple photos of a heavily camouflaged test mule roaming European highways and country roads, however, a second set of teaser photos taken inside Mercedes-AMG's wind tunnel gave us a much more detailed look at its overall design and characteristics. This third (and hopefully final) round of photos shows the sleek Benz frolicking with other test mules in underground garages, and putting its agility and horsepower to good use on city streets and even the race track. While we definitely get a kick out of seeing these various sneak peeks, part of us wishes that Mercedes-AMG would leave a little bit more to the imagination. Few things are more exciting than not knowing what's hiding under the covers when a press conference commences. You know, the whole element of surprise.